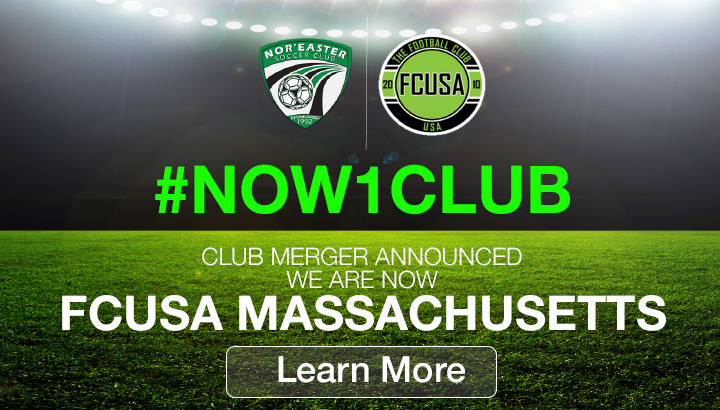 Nor'easter North is thrilled to announce that we will merge with FCUSA this summer. Tryouts for fall 2018 will be run by FCUSA. For more information, please contact Mike Almeida at MalmeidaFCUSA@gmail.com. ©2019 Nor'Easter Soccer Club / SportsEngine. All Rights Reserved.